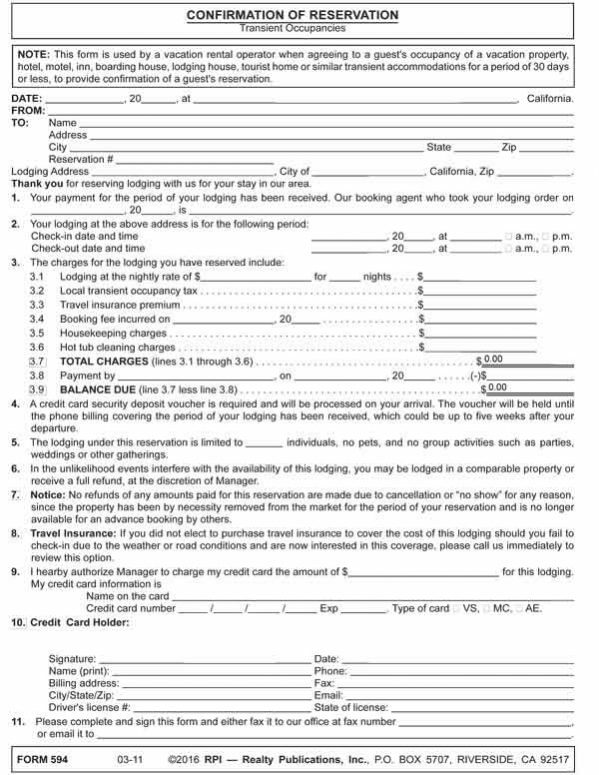 This form is used by a vacation rental operator when agreeing to a guest’s occupancy of a vacation property, hotel, motel, inn, boarding house, lodging house, tourist home or similar transient accommodations for a period of 30 days or less, to provide confirmation of a guest’s reservation. When making a reservation, additional charges may be included in the guest’s stay. These charges are itemized on the guest’s confirmation of reservation.